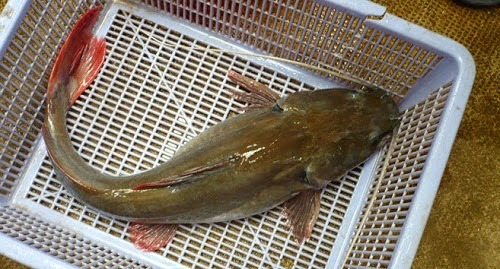 Asian red tailed cat fish is a style of shark catfish. 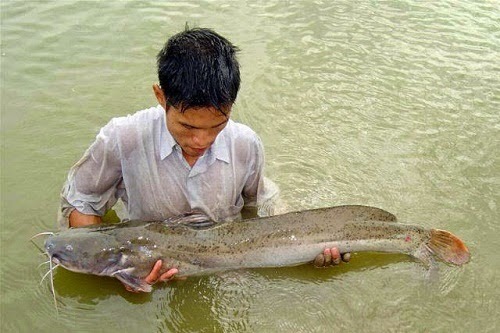 It belongs to one of the biggest river’s fish in nature. Some of fish was caught is weight from 40-50 kilos. In Vietnam, this fish lives only in some river on the mountainous place and someplace where it has many high Fall. It lives crowdedly in Serepok River (one of popular river in Dak Lak). 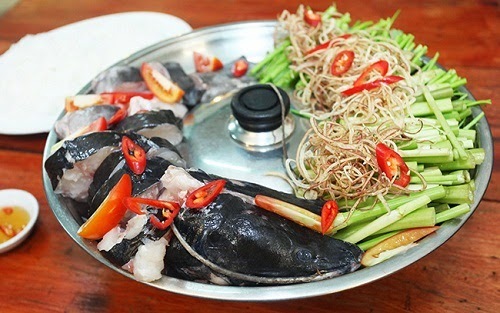 From this fish, there are many Best Vietnamese Food are cook such as Lã Vọng fried fish (Chả Cá Lã Vọng). Today, the illegal catching of this fish increase rapidly and the price are quite high from 250,000-300,000 VND for one kilo. So, the natural fish live in Dak Lak and someplace are very rare. Luckily, people has succeeded in breed and feed in the manmade environment. There are two main cooking of this fish. One is strike is into many parts and then grilled it on the hot coal with chili. 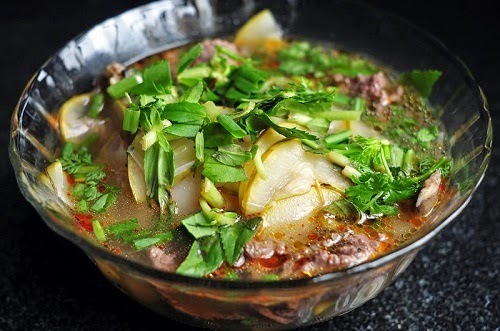 Another one is make one hot pot; this is one of Best Vietnamese Food that is served widely around Vietnam. 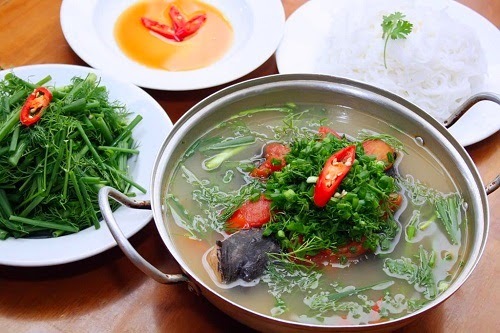 To cook this Best Vietnamese Food is quite simple, first cutting the fish into third or four parts (depends on the shape of fish). Next, cut the bamboo shoots and put all of them into the hot pot. Wait in some minutes and you can enjoy it. It is getting more delicious if it is enjoyed with fish sauce. The making of it is simple, someone think this dish might not be scrumptious; however it is one biggest fault. The delicious of this fish’s meat is perfect, so cooking it as simple as best. Diners always marks this dish is perfect 100 score after eating. Hope to see you at Serepok when enjoy this Best Vietnamese Food. I think it would be a great meeting because it is the first time we meet and enjoy the delicious fish together. Hope you have an interesting trip in my beautiful country and guarantee that you will not miss this dish when you have a chance to visit this place.